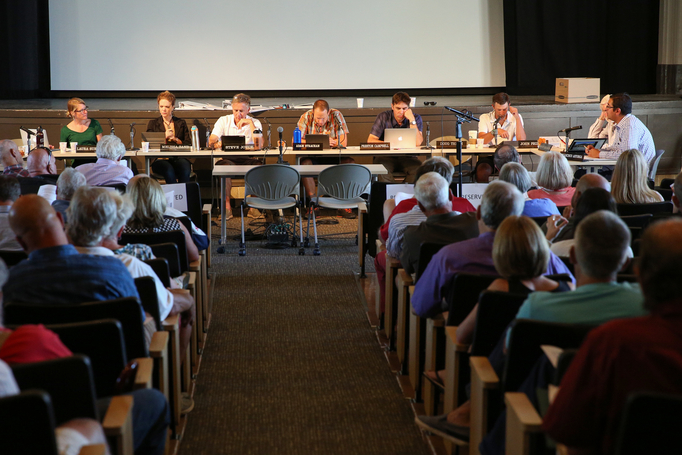 The Park City Planning Commission in July held a Treasure meeting in the Santy Auditorium at the Park City Library. City Hall officials anticipate the panel will continue to discuss the controversial project into the late spring or early summer. The timeline is lengthier than the Treasure partnership had desired. Park City officials anticipate the Park City Planning Commission discussions about Treasure will continue into the late spring or early summer, meaning the panel is roughly halfway through its current round of talks about the disputed hillside project. Bruce Erickson, the planning director at City Hall, briefly spoke about Treasure scheduling during a recent meeting about Treasure. He told the Planning Commission it is possible the project will be given to the panel for deliberations in May or June of 2017. He did not provide details. The Planning Commissioners did not discuss the timeline in detail. A Planning Commission vote usually follows shortly after the start of deliberations, sometimes at the same meeting. The Planning Commission started the current round of Treasure discussions in June with the project on the agenda on a monthly basis. The panel has spent significant time addressing the crucial issue of square footage and matters related to that topic like the size of the buildings. The discussions about square footage will influence later topics like traffic. 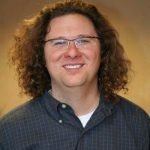 In an interview afterward, Erickson said the Planning Commission in coming months is expected to delve into issues like the traffic Treasure is expected to generate, transportation systems, utilities and parking plans. The project will also be weighed against City Hall’s strict design guidelines in Old Town. The current Treasure discussions launched in 2004 with a series of stops and restarts over the years as the project was reconfigured. There was also a lengthy break as City Hall unsuccessfully attempted to reach a conservation deal for the land. The Sweeney family, the historic owner of Treasure, secured an overall approval for development on a hillside overlooking Old Town along the route of the Town Lift in the 1980s. The 2004 Treasure application involves the bulk of the development rights dating to the 1980s approval. The Treasure partnership in the spring outlined a schedule that was far more condensed than what has occurred in the months since. The partnership wanted the talks to restart in late April and extend until late September. The Treasure side had hoped for a Planning Commission vote on Sept. 28.